We wish all our friends happy and succesfull year 2014! Manon Fresia z Kovárny was very succesfull on the shows when collected CAC from NL, res.CAC + Youthwinner Amsterodam from prestiheous show in Amsterodam and VDH-Cha Junior + Bundessjudgendsieger in Dortmund. She also got her patella test with superb result 0/0 (healthy)! New photos of puppies from O litter added to their photoalbum. Both boys are reserved. Noris is in his new family. Marley went to his new family at Slovakia. He is doing very well - as you can see on his new photos. We added also winter pictures of Noris and Béďa. Well, the date is of spring, but mostly we had the snow yet. 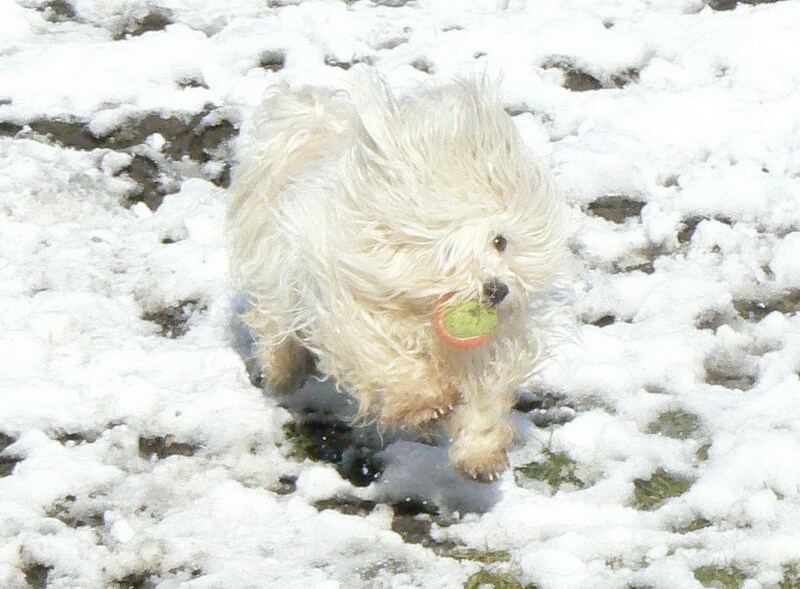 Our Havanese love the snow! We are still looking for a new family for Noris. Marley is reserved and waiting for his trip to the new home.